Thanks to Beth over at EvaPaige Quilt Designs, I've been feeling obligated to sew every day this week (twist my arm!). She's hosting an event called "Drop and Give Me Twenty." 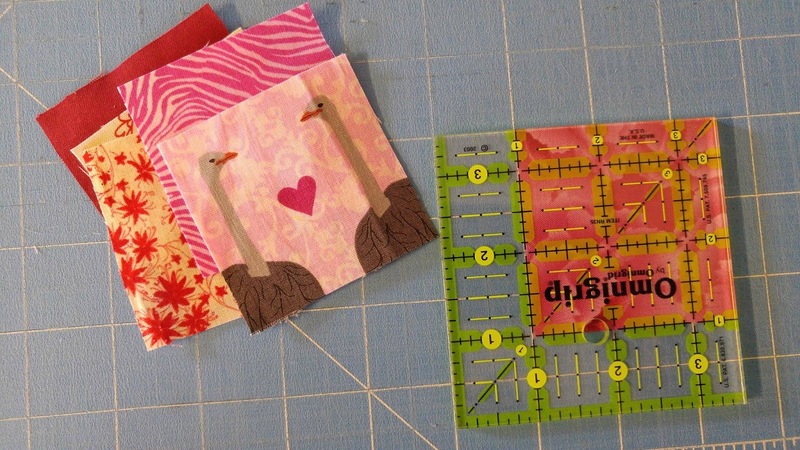 It's a challenge for the month of February to sew 20 minutes each day. There's a fun Facebook group to share your progress and prizes to be won (again, any surprise I'm in?). Now back to pink and red! 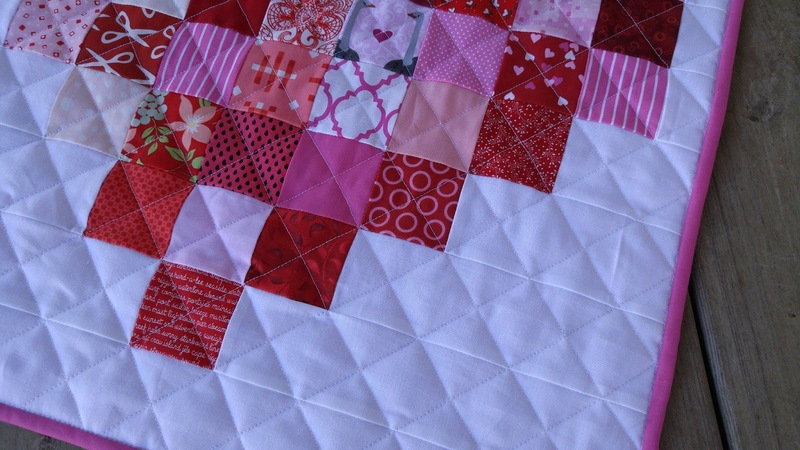 I'm blaming my BQF (best quilty friend), Heather, for this project! She shared a heart table runner she was making, and I knew I had the fabric to do something similar! This project was not on my to-do list, but who follows a to-do list anyway?!? 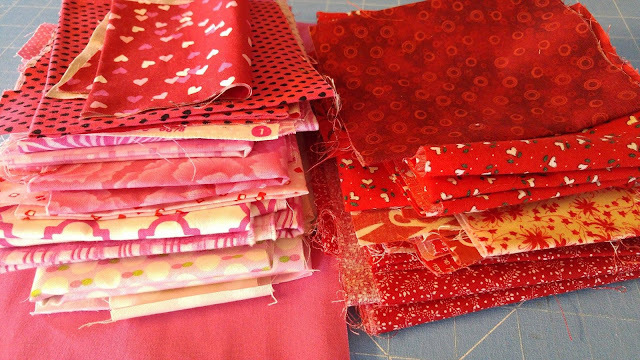 I started by finding all my pink and red scraps and cut 2.5" squares from each. 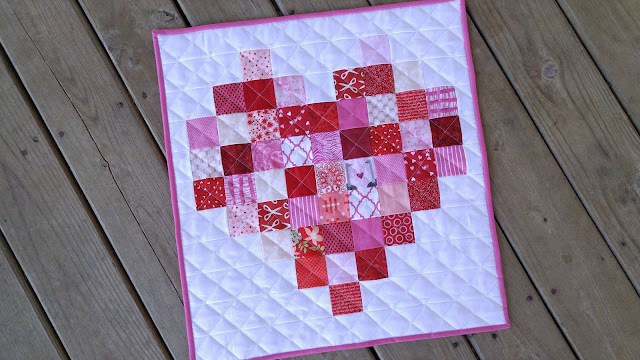 I arranged them randomly in a heart-shaped design and cut 2.5" wide strips to fill out the sides. 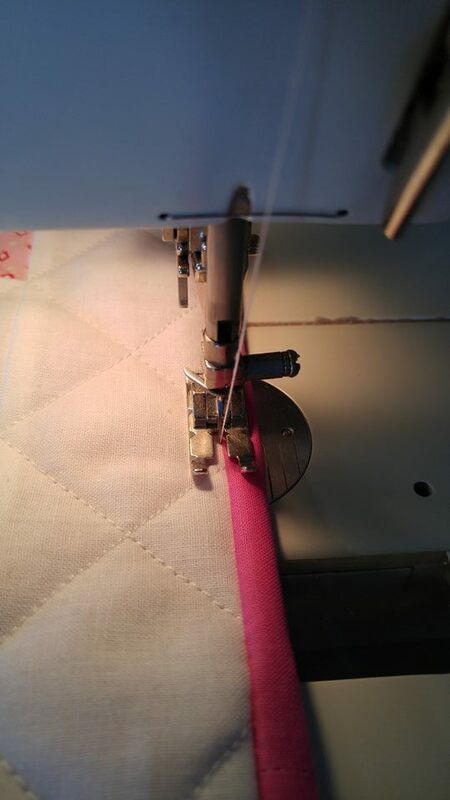 I sewed each row, alternating which way I pressed the seams so they would nest with the following row. 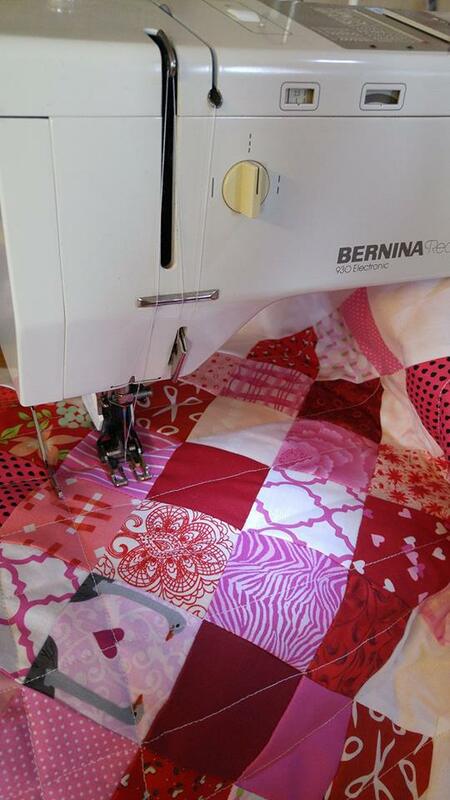 I quilted it with a cross-hatch design with my walking foot on my Bernina Record 930. 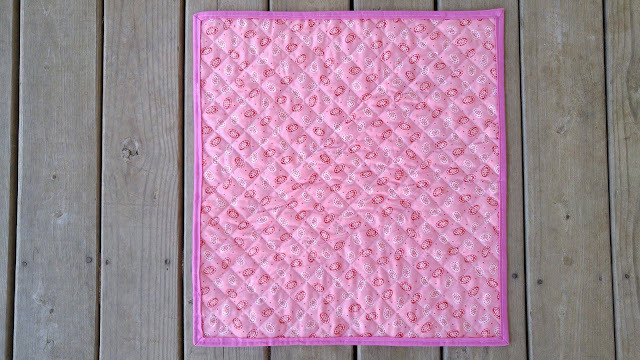 I used a solid pink scrap from my stash for the binding (which resulted in a ridiculous amount of seams for such a small quilt). 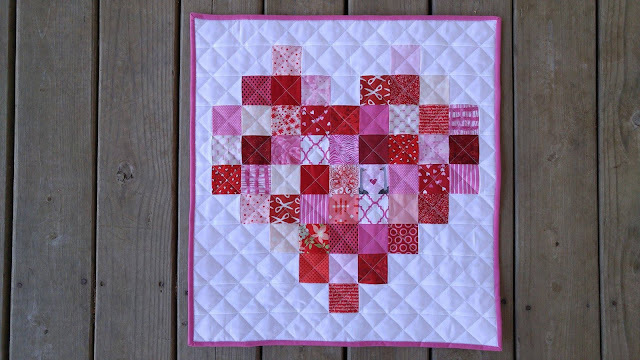 This quilt is my 11th quilt for the year! 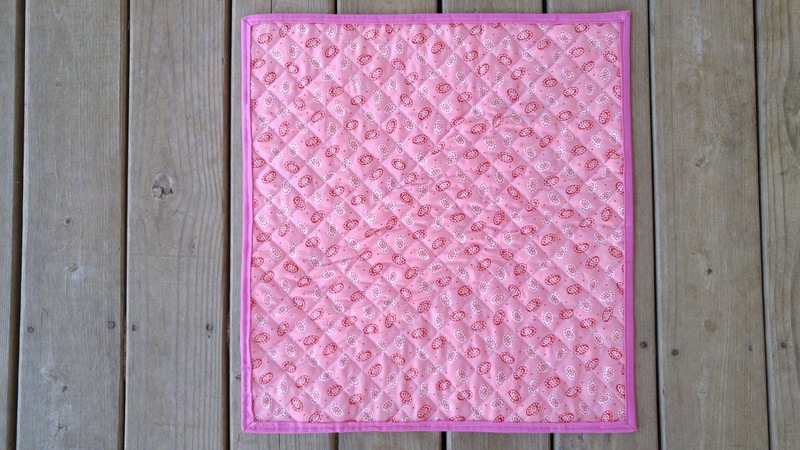 All have been mini quilts, but they make for quick finishes and I get to try lots of new things. In hindsight, I would not have placed any of the lightest fabrics on the outside edges of the heart, as they disappear against the white background. 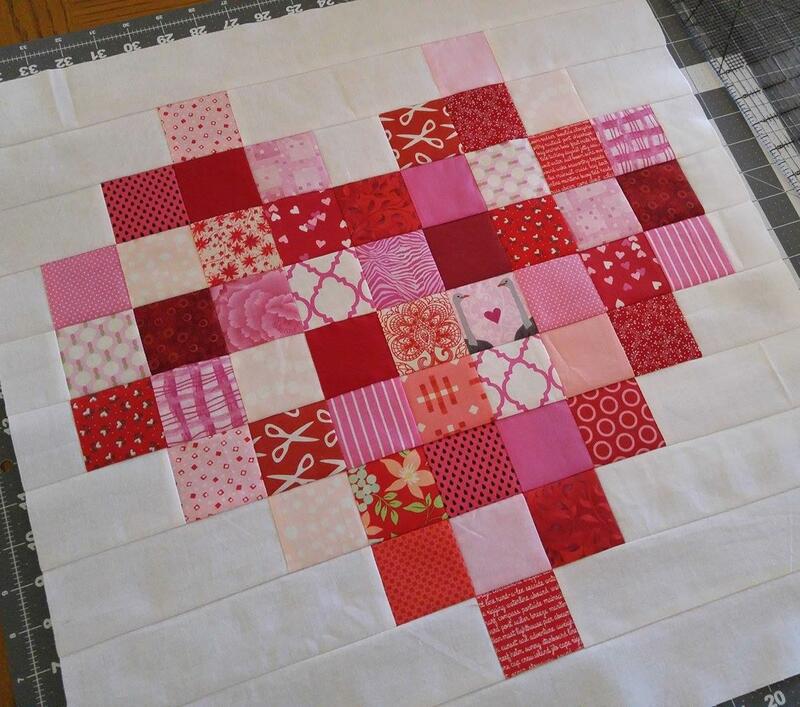 But it's finished in time to use it for Valentine's Day and that's a win in my book! Love it! 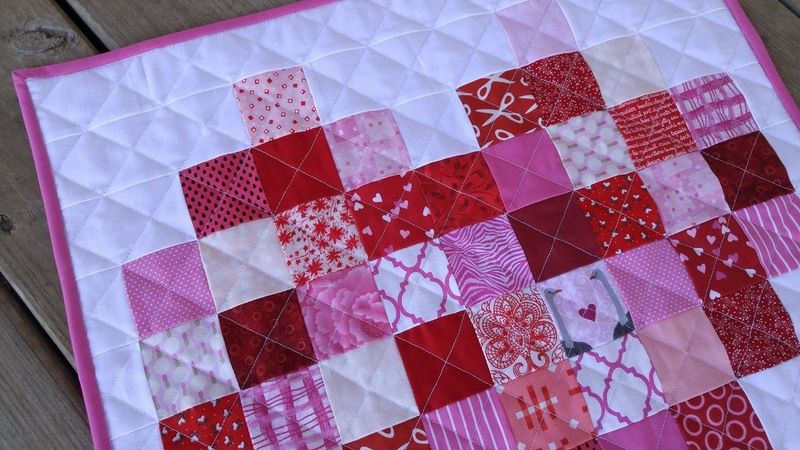 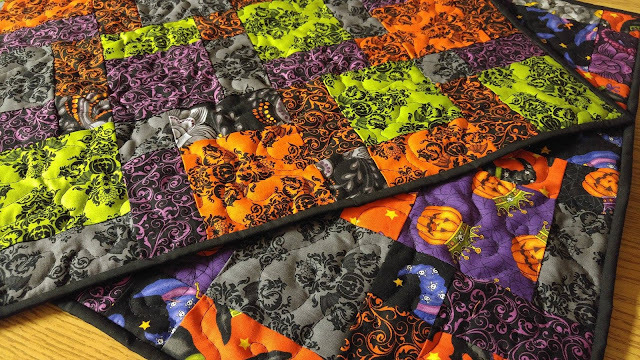 The scrappiness, the backing, the quilting, everything!